The two-day visit of the spiritual leader of the Ismailis of the world is scheduled for April 19-20. Next week, the spiritual leader of the Ismailites of the world Prince Aga Khan IV will arrive in Moscow. Semyon Bagdasarov, an expert on problems of the Middle East and Central Asia, director of the Center for the Study of the Middle East and Central Asia, said, Sputnik reports. Speaking on the television program Evening with Vladimir Soloviev, where experts discussed the problem of Syria and the recent missile attack of the United States on the Syrian airport, Bagdasarov mentioned that on April 19-20 the spiritual leader of the Ismailis arrives in Moscow. "We need to think about a very serious strengthening of our military presence in Syria, using our allies, the search for new allies within Syria. 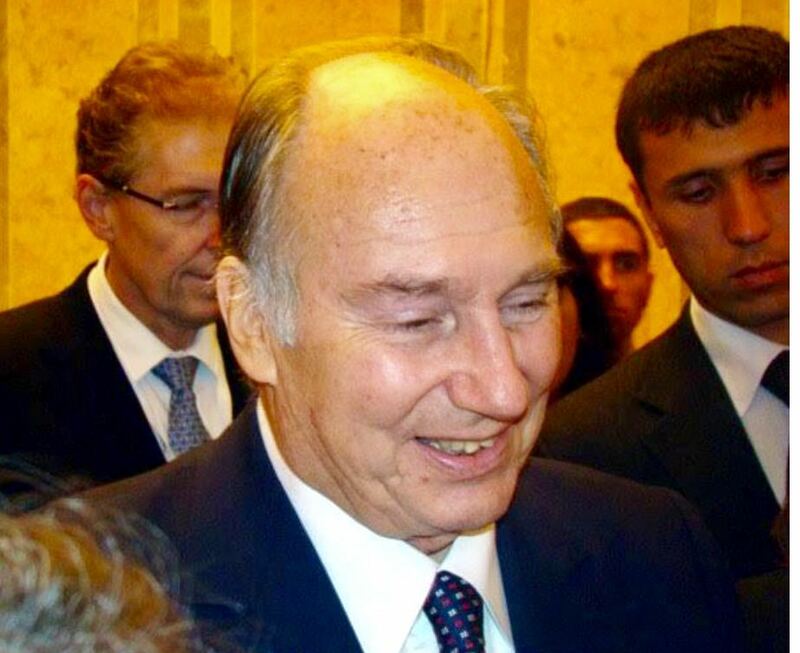 On April 19 - 20, the head of the Ismailis of the world Aga Khan IV arrives in Moscow. He was here last time in 2003. These are good steps, "Bagdasarov said during the TV program. The political scientist noted that there are 500 thousand Ismailis in the territory of Syria. Perhaps it was the Syrian crisis that prompted Aga Khan to travel to Moscow. The official website of Aga Khan does not contain information that confirms the visit. Prince Karim Aga Khan IV - spiritual leader, imam of the Muslim community of Ismaili-Nizarit. Aga Khan since 1957 is the imam of the Muslim community of Ismaili-Nizarit. In 1957, Queen Elizabeth II of Great Britain awarded him the title "His Highness", and in 1959 Shahinshah of Iran Mohammed Reza Pahlavi - "His Royal Highness". Prince is the creator and sponsor of charitable projects in many countries, including Central Asia. Under his leadership is the organization Aga Khan Development Network, which operates a number of socio-economic, educational and cultural institutions. Aga-Khan twice (in 1995 and 1998) visited the Gorno-Badakhshan Autonomous Oblast of Tajikistan. In December 2016 in Moscow in the concert hall "Russia" was a bright concert on the occasion of the 80th anniversary of Aga Khan IV. Before 5 thousand spectators, Tajik artists such as Samandar Pulodov, Madina Aknazarova, Mutrib Shoikandarov, Aknazar Alovatov, Shams group and others performed. Moscow, Russian Federation, 30 April 2002 - His Highness the Aga Khan, Imam (spiritual leader) of the Ismaili Muslims, today met with President Vladimir Putin of the Russian Federation at the Kremlin. The two leaders discussed the potential for expanding activities of the Aga Khan Development Network within the Russian Federation and reviewed together the context in which the Network has established and grown its development initiatives in Central Asia and Afghanistan. The Aga Khan Development Network has been working with agencies of the government of the Russian Federation since it began its humanitarian assistance programme in Central Asia in 1992. The Aga Khan’s last official visit to Russia was in 1995. Notes: The AKDN is a group of private, non-denominational development agencies and institutions that seek to empower communities and individuals, often in disadvantaged circumstances, to improve living conditions and opportunities. Established by the Ismaili Imamat (office of spiritual leadership) and working in over 20 countries, the Network’s underlying impulse is the ethic of compassion for the vulnerable in society and its agencies and institutions work for the common good of all citizens, regardless of origin, gender or religion. The AKDN has over the past decade launched a number of successful initiatives in Central Asia in areas ranging from agrarian reform to education, infrastructure, healthcare, micro-credit, small enterprise development and cultural revitalisation. Please note that the date of the above article is 30 April 2002. It is not about any recent visit. The purpose for posting it was to give a brief background about the Imamat's involvement in Russia. Welcome to Moscow. I would like to begin by saying that on July 11 we will mark 60 years of your mission as the Spiritual Leader and Imam of the Nizari Ismailis. You are a good friend who often visits us. We highly appreciate your views on Afghanistan and also on many other modern issues. We treasure your sagacious and wise views as you are a man with great experience. We see that your actions are guided not only by a desire to protect the interests of Ismailis around the world, but also to help settle the acute international issues..
On April 20, Russian Minister of Foreign Affairs Sergey Lavrov had a meeting with the Spiritual Leader, Imam of the Muslim Ismaili-Nizarite Muslim Community, Prince Karim Aga Khan IV, who arrived in Moscow on a working trip. The central place during the conversation was given to the discussion of the situation in Afghanistan and Syria. The leader of the Ismaili highly appreciated Russia's consistent line in favor of peaceful political resolution of conflicts and crisis situations existing in the Middle East. In the context of the consideration of the situation in Syria, the importance of effective and effective continuation of the inter-Syrian negotiation process with the participation of representatives of the Government of the RAA and the opposition in Astana and Geneva was noted with the aim of finding through the inclusive dialogue ways to resolve the crisis in Syria, taking into account the rights and interests of all ethno-confessional groups of Syrian society. 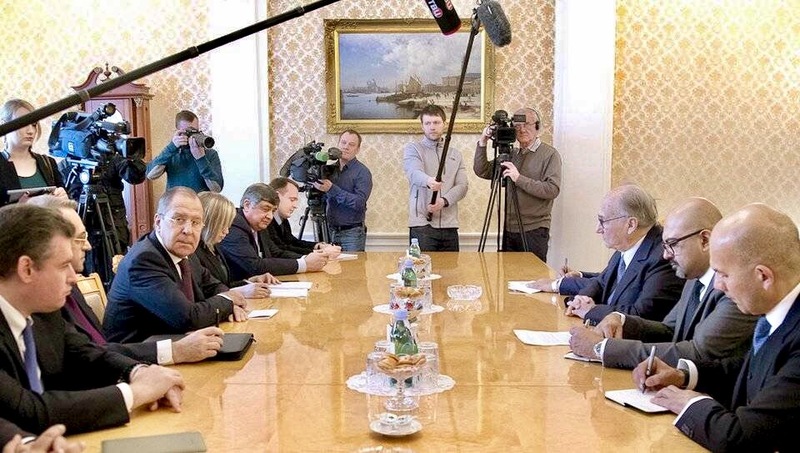 GENEVA, June 30 (Itar-Tass) — Russian Foreign Minister Sergei Lavrov met with His Highness Prince Karim Aga Kham IV, global leader of the Ismaili Muslim community, in Geneva on Saturday. “The meeting was held at the Russian permanent mission at the United Nations,” a Russian diplomat told Itar-Tass. Aga Khan IV is founder and sponsor of many charitable projects, which are being carried out in many countries, including in Central Asian states. Under his leadership the Aga Khan Development Network operates. Several social, economic, educational and cultural institutions function under his auspices. 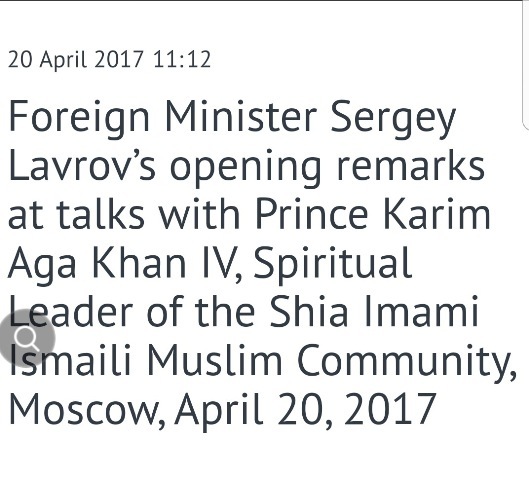 Moscow, April 20, Interfax - Moscow values its dialogue with Prince Karim Aga Khan IV, the current Imam of Nizari Ismaili Muslims, and expects to discuss different issues, including the problems of Afghanistan, with him, Russian Foreign Minister Sergey Lavrov said. "We appreciate the assessments that you have outlined to us not only on the Afghan problem, but also on other contemporary problems. Your insightful view of an experienced man is highly important to us," Lavrov said at a meeting with Prince Karim Aga Khan IV. "We see that you are guided not only by the wish to safeguard the interests of Ismailis, regardless of where they live, but also by the wish to help solve quite dangerous problems that have been accumulating in the international situation for the past ten years," he said. "We expect to have a useful discussion," he said. The prince, for his part, said that cooperation with Russia was important as far as the situation in Central Asia was concerned. Our cooperation is exceedingly important not only for the community of Nizari Ismaili Muslims, but also for Central Asia as a whole, and today the sides are establishing joint institutions that will play an enormous role with regard to developments under way in the whole of Central Asia, he said. Nizari Ismailis are a branch of the Ismaili Shia Muslims. Their representatives live in India, Syria, Afghanistan, Tajikistan, Iraq, Oman and Zanzibar. Today their community includes 15,000 people. His Highness the Aga Khan, the founder and chairman of the Aga Khan Development Network (AKDN)and Spiritual Leader of the Shia Imami Ismaili Muslims, yesterday met in Moscow with Russian Foreign Minister Sergei Lavrov. His Highness the Aga Khan, the founder and chairman of the Aga Khan Development Network (AKDN), is the 49th hereditary Imam (Spiritual Leader) of the Shia Imami Ismaili Muslims. For His Highness the Aga Khan, one manifestation of his hereditary responsibilities has been a deep engagement with development for almost 60 years. The Ismailis constitute the second largest Shia community after the Twelvers in the Muslim world and are now scattered in more than twenty countries of Asia, Africa, Europe and America. On April 20, His Highness the Aga Khan, Imam of the Shia Ismaili Muslims and chairman and founder of the Aga Khan Development Network (AKDN) met Sergei Lavrov, Russia’s Minister of Foreign Affairs, to discuss areas of cooperation and mutual interest. “You are a good friend who often visits us. We highly appreciate your views on Afghanistan and also on many other modern issues. We treasure your sagacious and wise views as you are a man with great experience,” Russian foreign minister noted, according to Russian news agency Interfax. “We see that your actions are guided not only by a desire to protect the interests of Ismailis around the world, but also to help settle the acute international issues that have been accumulating for the past decade. We hope to have a useful meeting,” Lavrov said at a meeting with His Highness the Aga Khan. His Highness the Aga Khan, for his part, said that cooperation with Russia was important as far as the situation in Central Asia was concerned. About 20 million Shia Ismaili Muslims live in different countries around the world, Russian news website Gazeta.ru. In Tajikistan, Shia Ismaili Muslims compactly live in the Gorno Badakhshan Autonomous Region (GBAO).